"California – Mission San Francisco Solano de Sonoma - 1823"
Mission San Francisco Solano de Sonoma, California -1823. 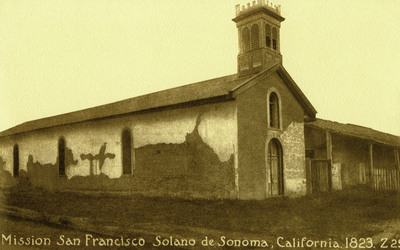 Was founded 1823 and is the last of the 21 Franciscan Missions. One black and white postcard with a divided back. The postcard was published by O. Newman Company in Los Angeles & San Francisco, California.